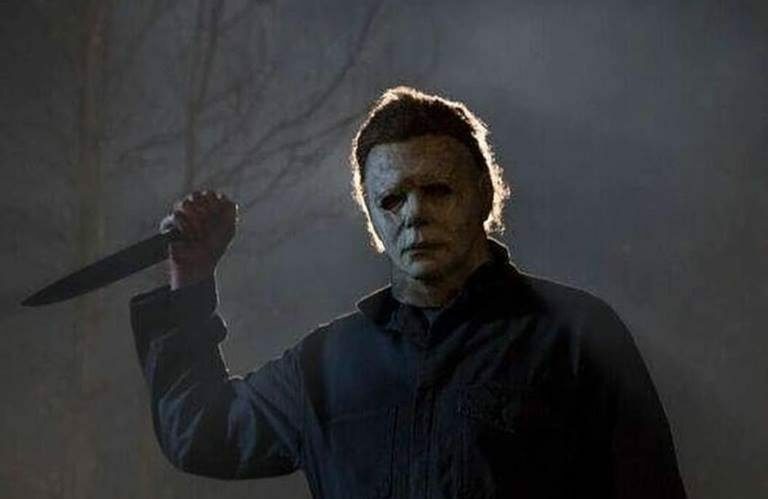 Michael Myers is back, and in its first week in theaters the new Halloween movie has broken records at the box office as the second biggest October opening and the second biggest horror opening of all time (behind 2017’s It), and it had the biggest opening weekend of any film in the hallowed movie franchise. Director David Gordon Green’s Halloween literally made a killing in North America, earning $77.5 million in 3,928 locations, destroying the franchise’s previous record opening of $26 million for the 2007 Rob Zombie remake. Halloween is now also the second biggest opening for an R-rated horror film following It’s $123 million launch last year, and it now ranks as the second-highest debut for any October release, behind only Sony’s Venom (which made $80 million). Overseas, Halloween generated $14.3 million from 23 markets for a global opening of $91.8 million. The film cost just $10 million make.